Kiss Daniel says CDQ co-wrote the song, 'Wait', off DJ Neptune's recent album, ''Greatness''. Kiss Daniel, who now goes by the stage name, Kizz Daniel has stated that indigenous rapper, CDQ deserves credit for co-writing the hit song, 'Wait'. 'Wait' is one of the lead singles from the recently released album, The Greatness, by DJ Neptune, and it features Kiss Daniel. The song has grown into as success as it steadily climbs up the music charts. Kiss Daniel had released his debut album, New Era on May 14, 2016 under his former label, G Worldwide Entertainment, he has since been involved in an ongoing legal battle with the label which has seen him delay his sophomore project. 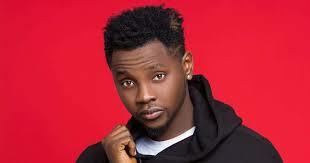 In May 2018, Kiss Daniel effected a change to his name, as he announced that he will now be known as Kizz Daniel, but this was immediately followed up with a statement from G Worldwide, who stated that the name change does not absolve him of ongoing legal case. Kiss Daniel has released a number of songs since the turn of the year including impressive features like DJ Spinall's Baba and Surrender alongside Seyi Shay.